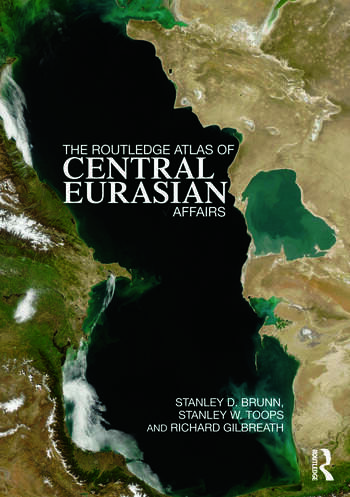 Providing concisely written entries on the most important current issues in Central Asia and Eurasia, this atlas offers relevant background information on the region’s place in the contemporary political and economic world. Designed for use in teaching undergraduate and graduate classes and seminars in geography, history, economics, anthropology, international relations, political science and the environment as well as regional courses on the Former Soviet Union, Central Asia, and Eurasia, this atlas is also a comprehensive reference source for libraries and scholars interested in these fields. Stanley D. Brunn is Professor of Geography at the University of Kentucky, USA. He has published widely on world cities, US cities, political, social and economic geography, the geographies of communication and cyberspace, peace, images and identities, Wal-Mart and the geographies of 9/11. He has had extensive travel, teaching and research experience in Kazakhstan, Kyrgyzstan and Tajikistan over the past several decades. Stanley W. Toops is an Associate Professor of Geography and International Studies at Miami University, USA. His research on geography and international studies has focused on the Central Asian portion of China, the Xinjiang Uyghur Autonomous Region. He has had extensive travel and research experience in China (particularly Xinjiang and Tibet), Mongolia, Kazakstan, Kyrgyzstan, Uzbekistan and Pakistan since 1985. Richard Gilbreath is Director of the Gyula Pauer Center for Cartography and GIS at the University of Kentucky, USA.